Riddick (there’s no “The Chronicles of” before that) starts out slow and silent. A good beginning for this sort of flick. 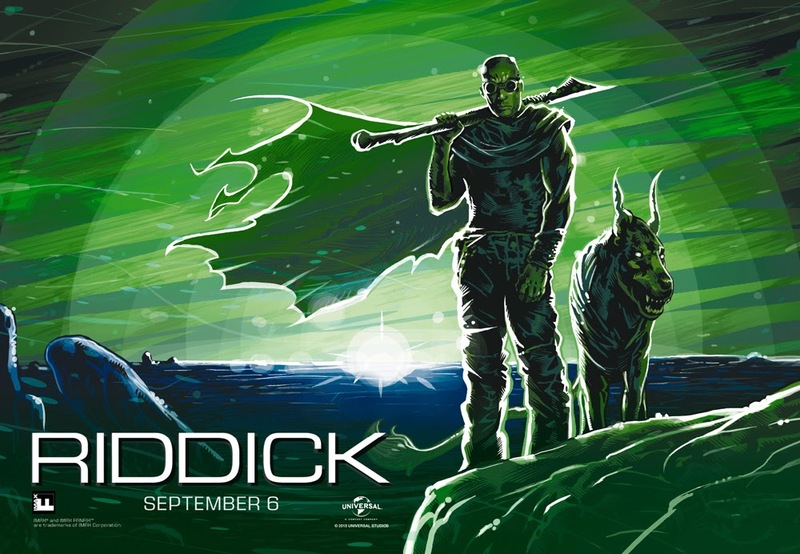 We quickly learn that Riddick has been abandoned on a planet and left for dead by the Necromongers, the race of people he became leader of at the end of the previous film. As I said, the beginning feels slow, but that’s good. We become re-acquainted with Riddick and meet some of the planet’s indigenous life (read: predators). In fact, we even see Riddick get to raise one of the planet’s dog-like creatures from a pup to a full-grown terror (yes, the beginning takes that long). Eventually, however, Riddick wants to get off the planet. 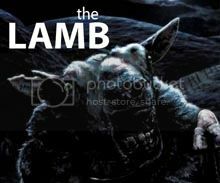 In his quest for escape, he activates an old beacon that attracts two different groups of bounty hunters. One of the groups turns out to be led by someone who shares a connection with a man from Riddick’s past. But what happens when you mix the bounty hunters, monstrous aliens, and Richard B. Riddick? I really loved this film’s attitude. As I mentioned, it starts out slow, and it always stays pretty focused and small-scale. Gone are the blockbuster ambitions of the previous film, The Chronicles of Riddick. I believe at one point Riddick mentions something about finding his animal side again, and I think that’s exactly what the filmmakers were going for with this sequel. I also appreciated the acting in the film. Vin Diesel gave it his all as Riddick once more, and Katie Sackhoff played another one of the badass chicks that 2013 produced so well. Even Karl Urban, who very briefly reprises his role from Chronicles, seemed dedicated to the part. The plot was a little predictable in parts but it was decent in general. One aspect of the story - the fact that a huge, seemingly never ending rain storm releases amphibious monsters from the ground - paralleled the eclipse that allowed the nocturnal aliens to prey on Riddick and the others from Pitch Black. This felt a little recycled but it was a nice callback to the original at the same time. I also liked how the arrival of the bounty hunters in this film forced Riddick into the role of monster once again. If you’re looking for a decent sci-fi action flick, you could do a lot worse than this one. And if you do watch this, chances are you’re a fan of the Riddick character. If that’s the case, you shouldn’t be disappointed at all.